With only one game under its belt known as Hunter’s Legacy, a cute metroidvania with animal characters, the Mexican development studio Lienzo (meaning canvas in Spanish) decided to tackle a new project, closer to their cultural roots which is Mulaka. Painted in a very particular graphic style, and already impressed numerous indie game juries throughout the year, the title receive the highly coveted 2017 best independent game of PAX West. Now out on all major platforms, I got the chance to review the game on Nintendo Switch, and being the history nerd that I am, discover an interesting story around the secretive and ancient tribe of the Tarahumara. The story of Mulaka takes place in the northern part of Mexico, where the the indigenous Tarahumara (or Rarámuri) tribe have been living for a long while, known until this day to have somewhat superhuman long-distance running abilities. The game will let you control a character with a strange look, known as Sukurúame, who also happens to be a key figure in Tarahumara mythology, one of their iconic shamans. His goal is to help people across the different parts of the Sierra Tarahumara (also known in modern days as the Chihuahua region), in his search to gain the power of the demigods and fight against the corruption in their sacred land. The first minutes of the game can be quite vague and difficult, as it’s not quite easy to get into the mood or understand your main objective. Your starting place is a vast desert, rather empty and with no particular feature that could appeal to your interest, but you’ll soon discover that it’s a tutorial. It is at the end of the second level that the game shows a little more of what it has in the belly, gradually adding more variety, or dungeon style levels in a beautiful and warm setting. With an interesting progression to the story, your experience in Mulaka will be close to a semi-open world, dissected into major and large open areas where you will roam and use your abilities to solve riddles. The concept is pretty much the same from level to level, with a main objective to recover each time three luminous stones to open a stone portal and access the next stage. For that, it will be necessary to either solve riddles, fight key monsters and creatures, or even go through small scale platforming sequences. Combat in the game is an important part element of Mulaka, as hordes of the corruption in the land are hunting you furiously, which are a mix of big sized animals like scorpions, toads, and flying creatures of all sorts, each with their unique attacks and weaknesses to take in consideration. While most of these minions are not difficult to deal with, it’s the bosses that are rather interesting, usually tanky and impossive in term of size, and demand a more dynamic combat style and lots of strategy to counter their attacks. To defend himself, Sukurúame is armed with a spear for semi-short ranged attacks, which he can even toss to hit an enemy from afar, on top of the rolling dodges, and a “ultimate” attack that can kill every enemy in a small area once its bar is filled. Later on as you discover and meet the demi-gods, you will unlock new abilities, which will open up areas previously visited that were inaccessible (a bit like the recent Legend of Zelda). Whether it is the use of four types of potions (prepared with the help of plants that we harvest) or the powers that the demi-gods give us, which allow us to transform ourselves into a divine animal, all these abilities are activated easily. Some of the deity’s ability are quite fun, like being able to turn as a bird and fly through a gigantic canyon to finish on a boss of an impressive size with fighting techniques that reminds me of Shadow of the Colossus. If the game is not really demanding in terms of performance, I’m a big fan of the artistic direction that this low-poly aesthetic. Like many indie game developers, this return to sharp angles or even 16-bit pixel art is no surprise as it helps reduce cost on fancy game engine and textures. Yet, it doesn’t mean that the game looks crude, but instead create colorful and varied sharp settings, that helps the gamer immerse into the game and let his imagination and attention do the work. The art is supported as well by an authentic soundtrack full of sweet melodies, and tracks that are true to the Rarámuri culture, thanks to a collaboration between local Chihuahua composer Diego Borja and Tarahumara poet and musician Martin Makawi, by using traditional instrument native to the tribe. 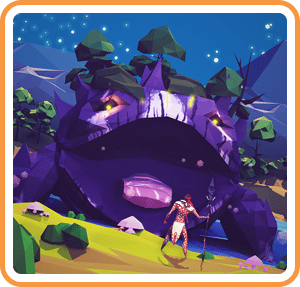 An interesting tale honoring the culture and myths of the Tarahumara tribe, Mulaka is a charming action adventure game that is worth the try.